Online supplementary material. 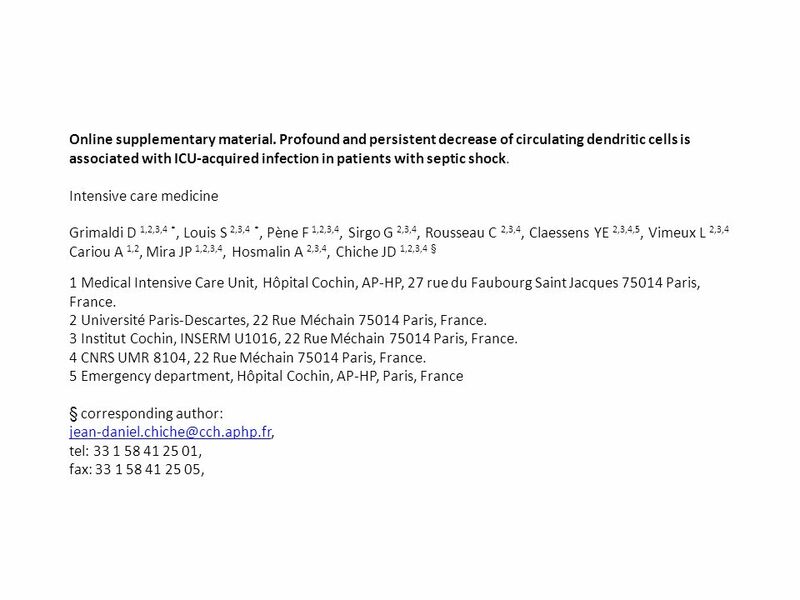 Profound and persistent decrease of circulating dendritic cells is associated with ICU-acquired infection in patients with. 3 Supplemental figures captions Fig. S1: Dot plot of gating strategy. 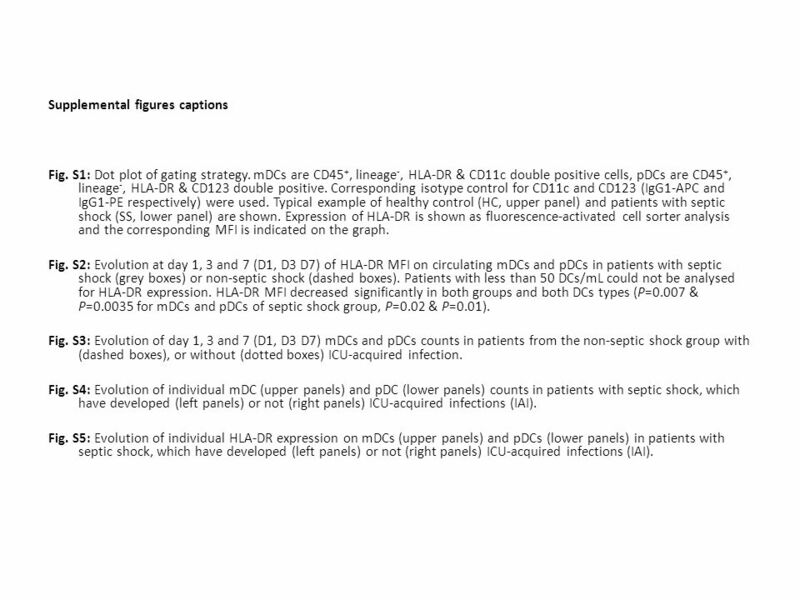 mDCs are CD45 +, lineage -, HLA-DR & CD11c double positive cells, pDCs are CD45 +, lineage -, HLA-DR & CD123 double positive. Corresponding isotype control for CD11c and CD123 (IgG1-APC and IgG1-PE respectively) were used. Typical example of healthy control (HC, upper panel) and patients with septic shock (SS, lower panel) are shown. Expression of HLA-DR is shown as fluorescence-activated cell sorter analysis and the corresponding MFI is indicated on the graph. Fig. S2: Evolution at day 1, 3 and 7 (D1, D3 D7) of HLA-DR MFI on circulating mDCs and pDCs in patients with septic shock (grey boxes) or non-septic shock (dashed boxes). Patients with less than 50 DCs/mL could not be analysed for HLA-DR expression. 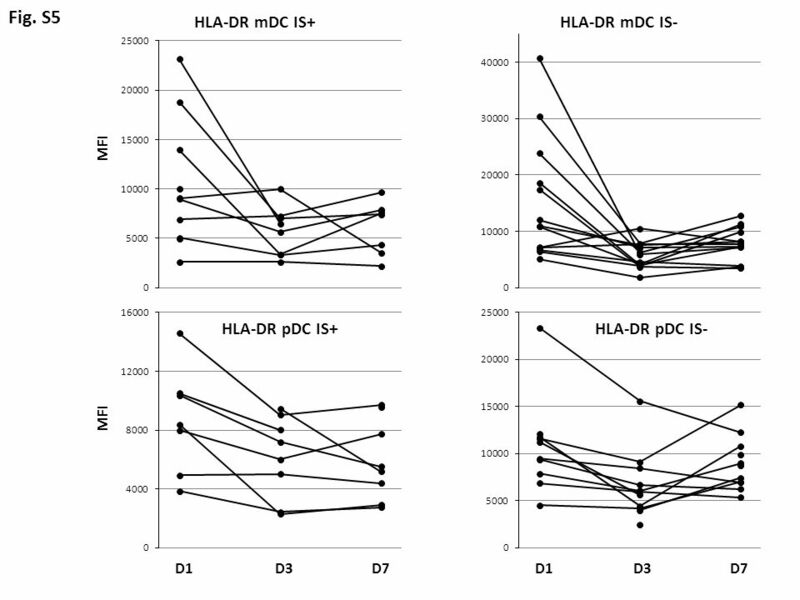 HLA-DR MFI decreased significantly in both groups and both DCs types (P=0.007 & P=0.0035 for mDCs and pDCs of septic shock group, P=0.02 & P=0.01). Fig. 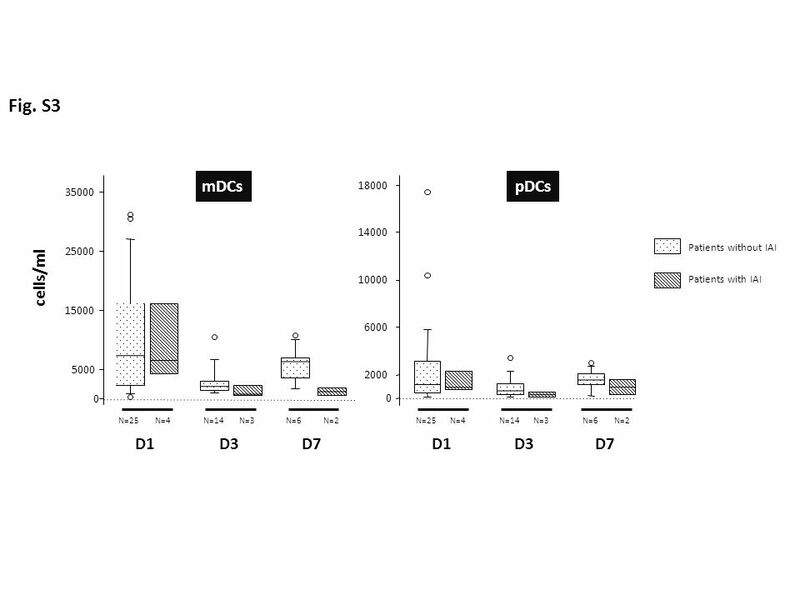 S3: Evolution of day 1, 3 and 7 (D1, D3 D7) mDCs and pDCs counts in patients from the non-septic shock group with (dashed boxes), or without (dotted boxes) ICU-acquired infection. Fig. S4: Evolution of individual mDC (upper panels) and pDC (lower panels) counts in patients with septic shock, which have developed (left panels) or not (right panels) ICU-acquired infections (IAI). Fig. 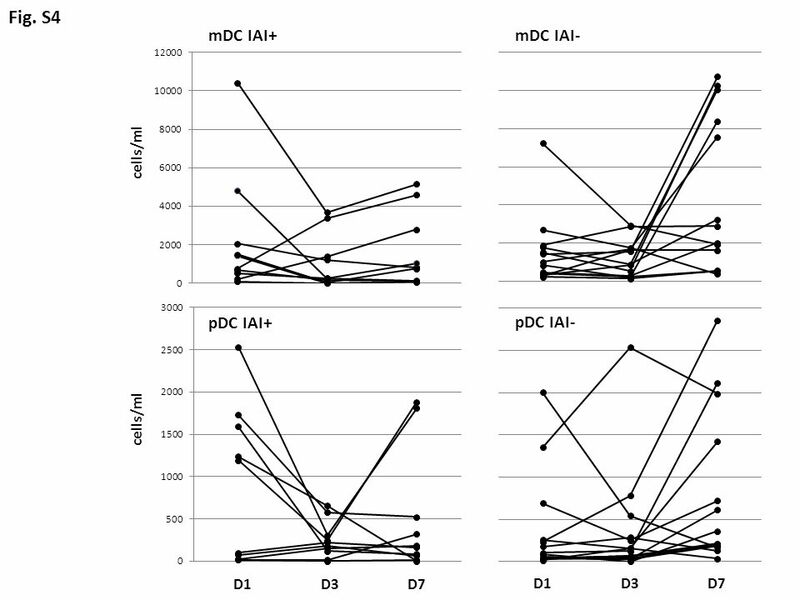 S5: Evolution of individual HLA-DR expression on mDCs (upper panels) and pDCs (lower panels) in patients with septic shock, which have developed (left panels) or not (right panels) ICU-acquired infections (IAI). Download ppt "Online supplementary material. Profound and persistent decrease of circulating dendritic cells is associated with ICU-acquired infection in patients with." 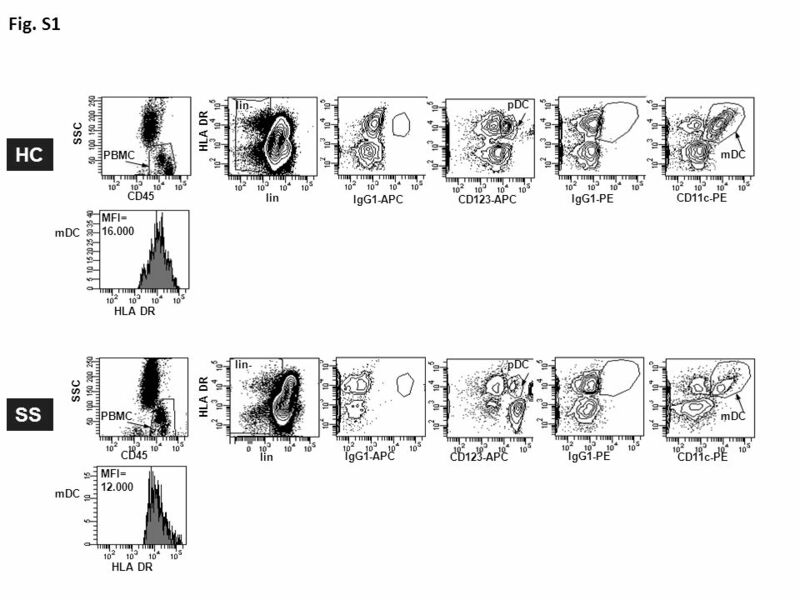 Pp65-specific all B: CD8 T-cells CD8/pp65 T cells per ml blood A: CD8 T-cells Indicated memory subset as a proportion of the reference T-cell subset FIG. Original Figures for "Molecular Classification of Cancer: Class Discovery and Class Prediction by Gene Expression Monitoring"
Necropsy of APC Min/+ mice Adenoma in small intestine Spleen 8-10 weeks weeks Normal spleen architecture Expansion of erythroid progenitors. RESULTS : METHODS:  The e-MUST registry includes all out-of- hospital STEMI, attended by a mobile intensive care unit, in the great Paris area (France). A. a). d). c). f). b).e). g). Figure S1. NAT2 expression in lymphocytes and monocytes from a healthy volunteer. PBMC from a healthy volunteer were simple. Florins A 1, Debacq C 1, Gillet N 1, Jean G 1, Thewis A 1, Schwartz-Cornil I 2, Bonneau M 2, Hay J 3, Asquith B 4, Burny A 1, Kettmann R 1 and Willems. Isotype control Supplementary Figure S1. Strategy for gating CD11b+CD14-CD33+CD40+ myeloid cells. Singlets were gated from live cells shown in forward. 1-68M 1-6M X-29M 1-42M 1-9M NO MAR a b Supplemental Figure 1. 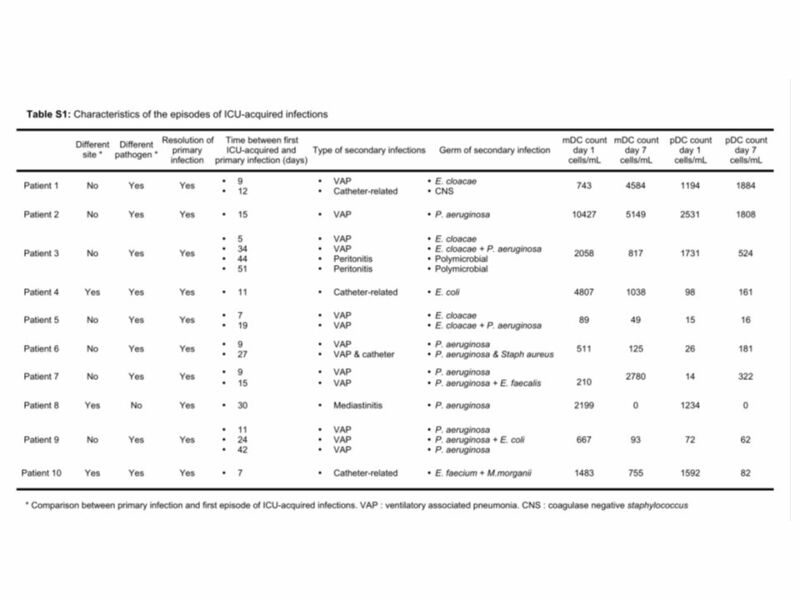 GFP expression vectors, containing or not human MAR 1-68, 1-6, X-29, 1-9 or 1-42 (Girod et. Supplemental Figure 1 A. EpCAM Gating Strategy Top Row: Histogram showing unstained BT474 cells with low fluorescent intensity of the EpCAM specific PE. Supplementary Table 1 Table S1. Population frequency of HLA -A, -B and -C alleles. Rare alleles (frequency < 0.5%) are highlighted by a grey background. Danielle V. Reenstra York College of Pennsylvania, Department of Biological Sciences The Interferon Response to Epstein-Barr Virus Virus containing supernatant. Rémi Cheynier Victor Appay Anne Hosmalin Gianfranco Pancino Vincent Vieillard Brigitte Autran Françoise Brun-Vezinet Charlotte Charpentier Diane Descamps. DC-SIGN/HLA-DR+ cells increased in coeliac duodenum 1. Immunology Lab, Dept of Paediatrics & Immunology, University of Valladolid, IBGM-CSIC, Spain; 2. + - Cell Sorting LASER. Cell Sorting + - LASER Zhang at al, Blood 2003, 102: Flow cytometry analysis of mouse fetal liver cells. Mouse fetal. Date of download: 5/31/2016 Copyright © 2016 American Medical Association. All rights reserved. From: Toll-like Receptors in Regulatory T Cells of Patients.